Although Microsoft Office is the most commonly used software suite in the office, many users fail to benefit fully from its rich and powerful features. Time is wasted and productivity is compromised because it takes them longer time to accomplish tasks that can be more easily and effectively done. This course provides you with the skills to tap into the power of individual Microsoft Office applications including Excel, Word, PowerPoint and Outlook. You will learn how to use the applications collaboratively to increase work efficiency and quality. 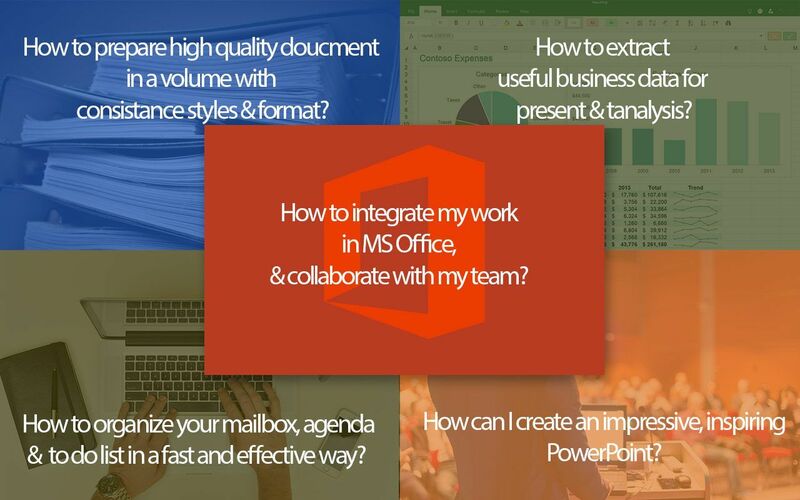 The training equips you with the expertise that a competent Microsoft Office user is expected to demonstrate. By the end of the course you should have a great understanding of the features of Microsoft Excel, Word, PowerPoint and Outlook and be abe to apply the skills learned to everyday scenarios. 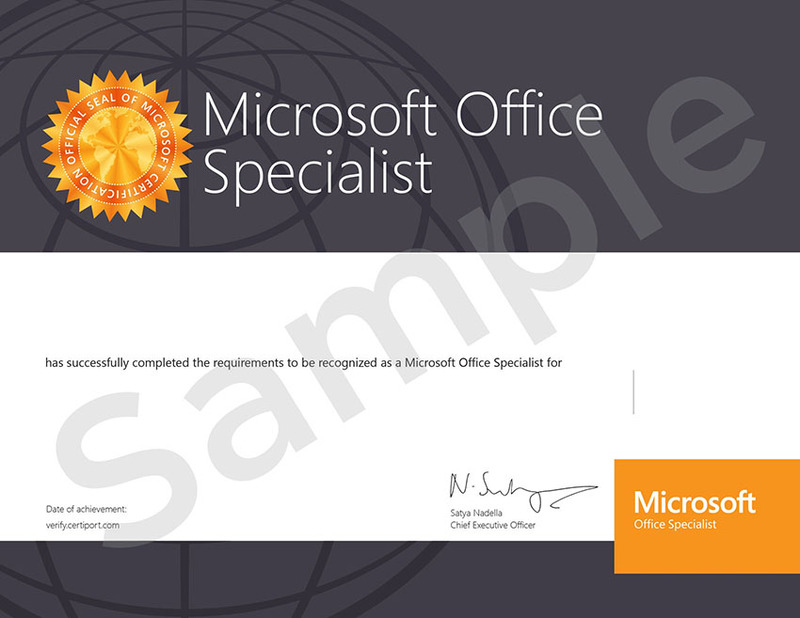 Certify your Microsoft Office skills with Microsoft Office Specialist Certification. The certification is not a requirement for course completion but we highly recommend you to get your skills professionally recognized. Remark: The course fee does not include the certification exams. After completing this course you may further develop your knowledge and skills in Microsoft Excel with the CEF reimbursable course Business Analysis with Microsoft Excel. *after maximum 80% fee reimbursement from CEF. Full course fee is $7500, payable by monthly instalments. There are a number of assignments in the course. The course certificate will be awarded to students who have satisfied the attendance requirement and passed in the assignments. You will pay the course fee ($7,500) by instalments unless your course finishes within one calendar month. The number of instalments is the number of calendar months that your course spans. At enrolment, you are required to pay only the first instalment, the amount of which is shown next to the “Enrol” button. The course is designed specially for office professionals who want to improve their work performance and productivity through the effective use of Microsoft Office. It will help participants enhance desktop skills, better manage business data and streamline workflow. In the course, participants will learn a useful range of intermediate to advanced-level skills covering Excel, Word, PowerPoint, and Outlook. Lectures, hands-on practice and assignments will be based on the latest version of Microsoft Office.